Seasonal rain front has arrived from Kyushu area to Tokyo area, STCW course has been completed here in NSTC. The weather in Kitakyushu, where NSTC located, did not affect our training, and the delegates enjoyed and completed the training lively. As I am a member of reception team in administration section, I would like to introduce you the reception lounge in NSTC. 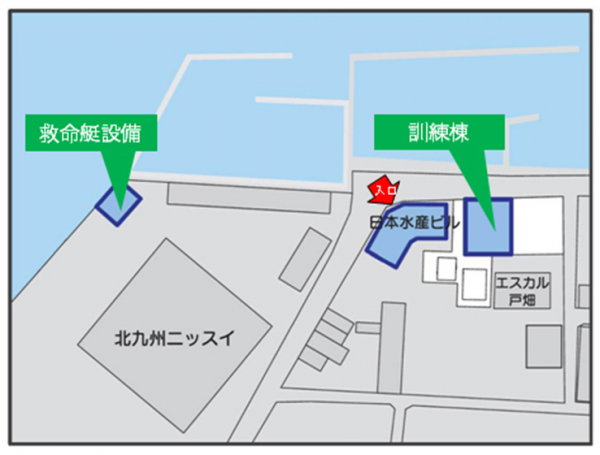 Most of the delegates visiting NSTC using railway are walking 5-7 minutes from Tobata station toward Wakato Bridge and then Nippon Suisan Building will be in sight. Entering from the main entrance and ascending to 4th floor by elevator, you will find a door. If you open the door, it’s NSTC’s reception and lounge, so if you arrive earlier then you will be able to relax having a cup of coffee and watching TV in the lounge. Nippon Suisan Building was built in 1936. 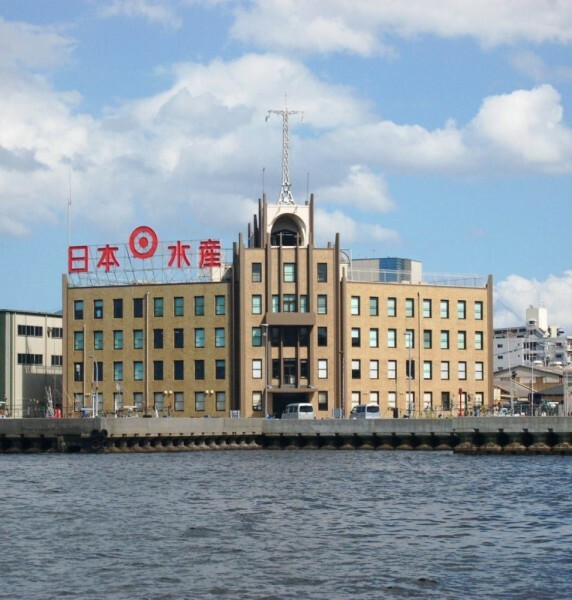 It won “Kitakyushu Townscape Award” in 2009. The building is lighted up during night-time till 20:00 and it is known as one of the romantic scene here in Kitakyushu. Left side of fourth floor is NSTC office and facilities. 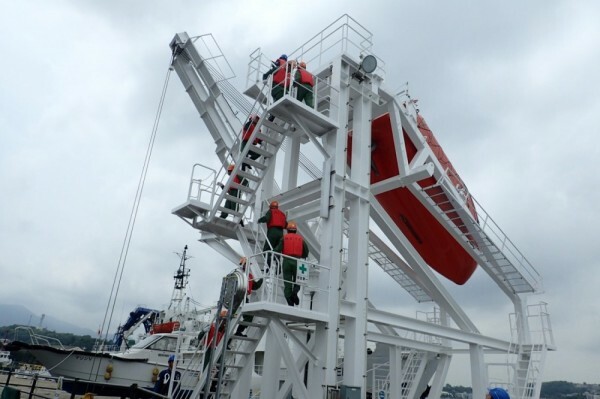 Now, I would like to introduce a scene of Free-fall lifeboat launching training as a part of the STCW course. Delegates climbing up to the platform of free-fall lifeboat with a brisk stride. The count-down of launching was heard in the office through the walkie-talkie, so the tension can be felt in the office as well. At the training site of free-fall lifeboat, firm direction from the instructor made the delegates more active and more intense. This time, all the delegates arrived the meeting place with much time to spare. It is very good custom to allow enough time to transport somewhere else, and I felt I would like to learn from it. Thanks for joining out training!